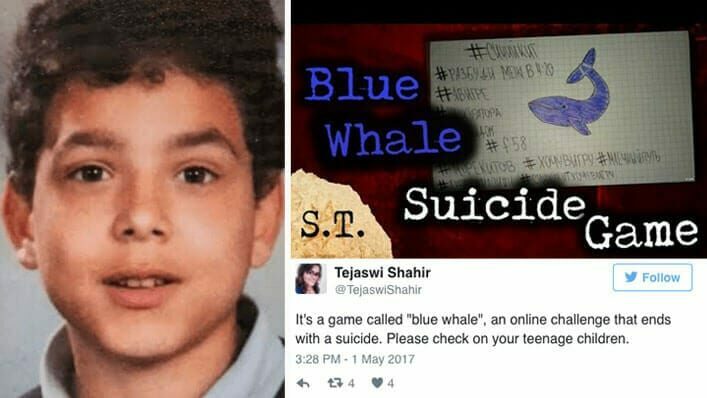 Dad Warns Parents After 13-Year-Old Son Dies From Blue Whale Suicide "Game"
There’s a new Internet craze going around, and our kids are at risk. The “Blue Whale Challenge” also known as the “Blue Whale Game” is a suicide challenge that is already believed to have taken the lives of nearly 130 teens in Russia, and dozens more across the globe. 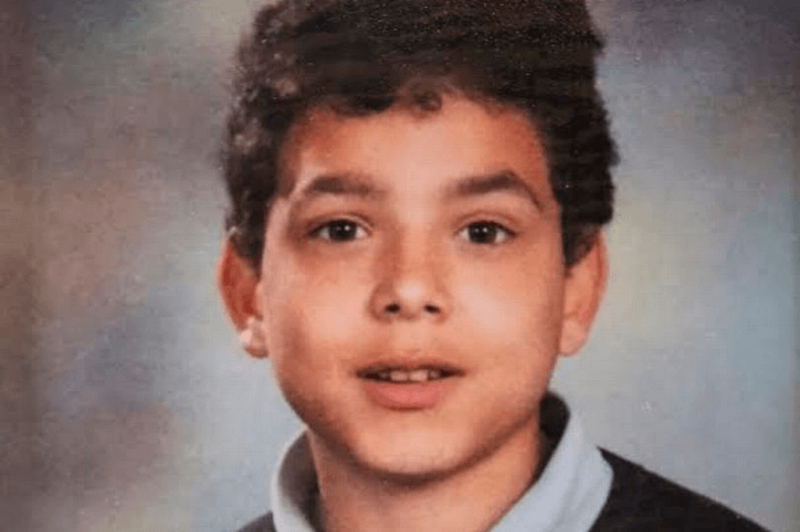 One was the life of 13-year-old Conor Wilmot. Conor’s grieving father, Greg, is warning parents everywhere of the “game” this week after burying his son, who died by suicide. Conor is believed to have participated in the Blue Whale Challenge—an online game which gives “players” disgusting tasks to complete for 50 days before finally killing themselves as the final challenge to end the game. Tasks start off somewhat silly—like watching a horror film, or waking up at a particular time during the night. But they quickly escalate to dangerous stunts like dangling from a roof, or acts of self-harm. Greg found his son’s body in a field near his home in Sixmilebridge, Co Clare, Ireland, on May 11. The father now believes that his son was pushed to death as a result of the challenge. Police are now investigating whether or not Conor’s death is linked to the sick and twisted online game. 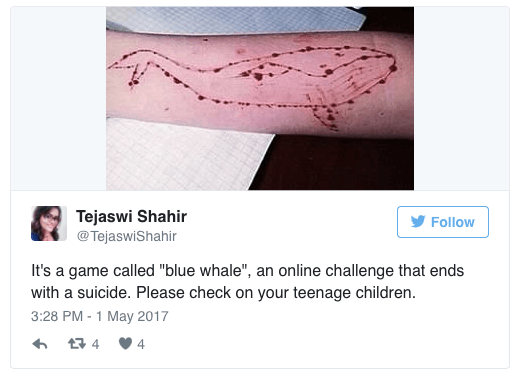 It is unclear whether or not the Blue Whale Challenge has reached teens in the U.S., but schools across the globe are sending messages to parents of the harmful and fatal effects of the game. The app is not currently available on iTunes or the Google Play app stores. Creators of the challenge are believed to threaten and coerce users through social media—just one more danger for parents to be looking out for. Snapchat is one of the most common places for participants to document their tasks, as most snaps only last for 24 hours. 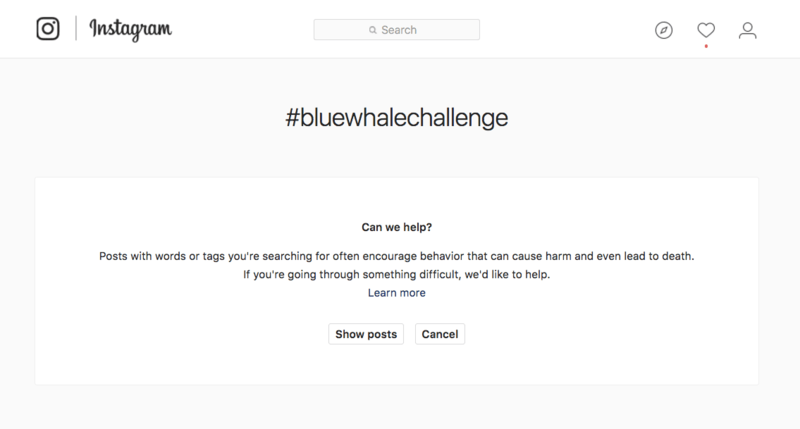 Instagram has put measures in place for those who search terms relating to the challenge. Our kids live in a virtual world, where technology is king. But we know the One who is King, and that the thief comes only to lie, kill and destroy. It’s important that we as parents stay alert and in-the-know about the online threats that are targeting our kids. In this case, it could literally be a matter of life and death.